The Flask pendant lamp Oil Long by Tom Dixon is a ball-shaped lamp with a shimmering glass surface. 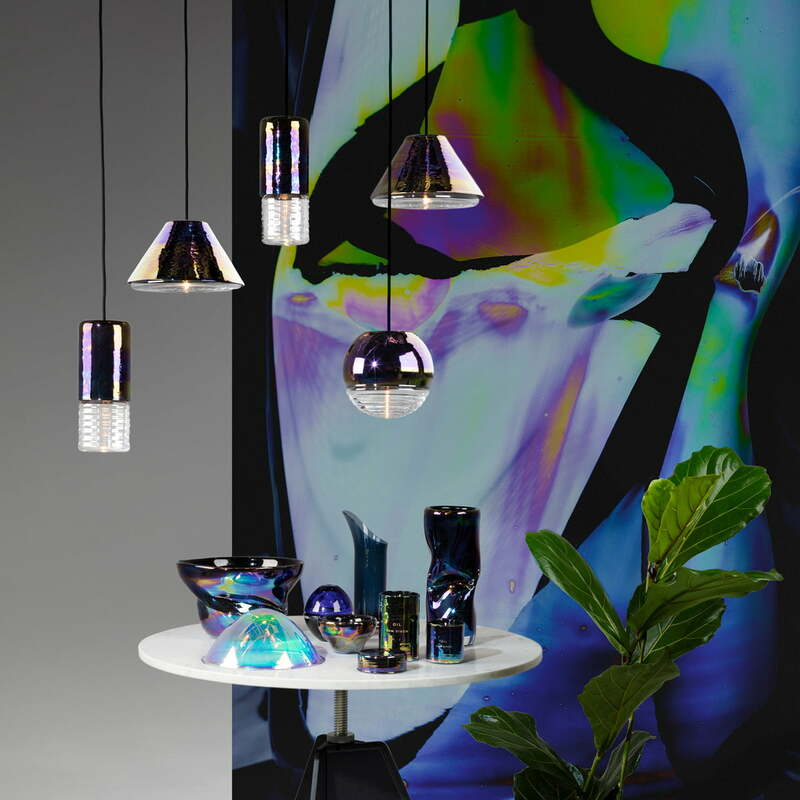 Flask is a series from Tom Dixon, which relies on special forms and colour contrasts for its design. The pendants, reminiscent of different glass vessels and flasks of a chemistry laboratory, come in geometric shapes which fit especially well in modern surroundings. 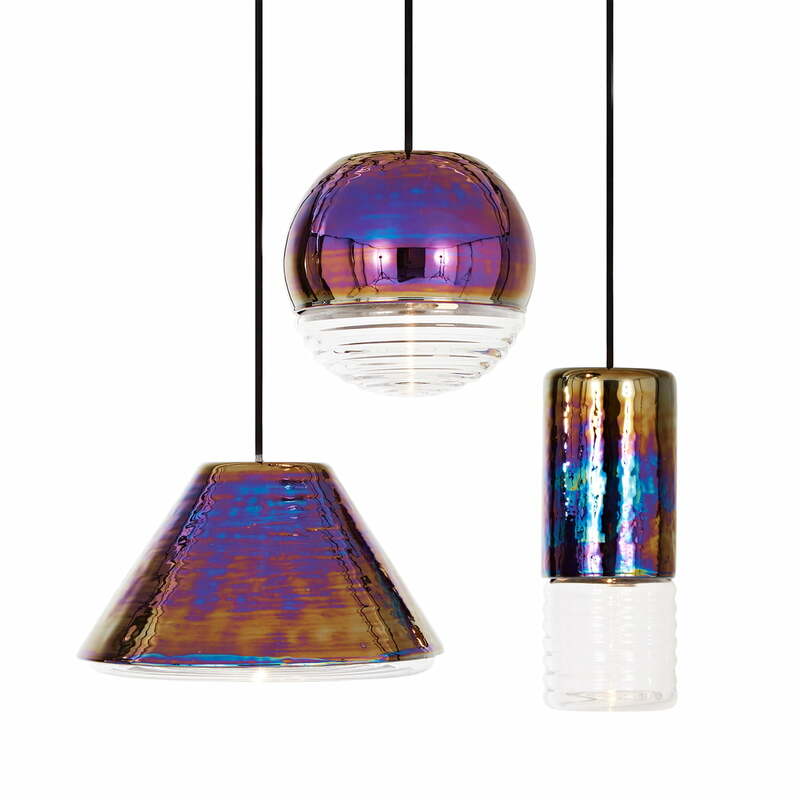 And again, Tom Dixon proves that he likes to experiment with textures and materials: the body is made of glass, the surface of which is inspired by a unique colour scheme. 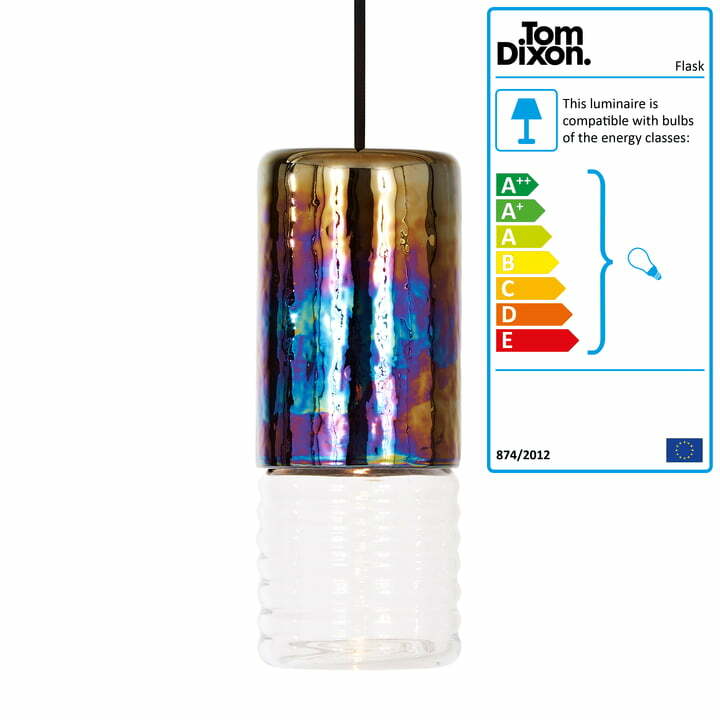 The finish changes colour like a drop of oil on the water, showing bright rainbow colours and seeming almost magical. The luminaire’s lower part, which is made of ribbed glass and thus breaks the light in effective ways builds the contrast. This creates a light ratio that ensures a pleasant and comfortable atmosphere. Thanks to a dimmer on the cable, the light intensity can be adjusted depending on your preference. The Flask pendant lamp is available in a ball-shaped (Oil Ball), a cone-shaped (Oil Wide) and in a cylindrical (Oil Long) variant. Arranging a group of several lamps in different versions also allows you to create a unique lighting ensemble. Coming with a long textile cable, the luminaires can be installed at different heights. 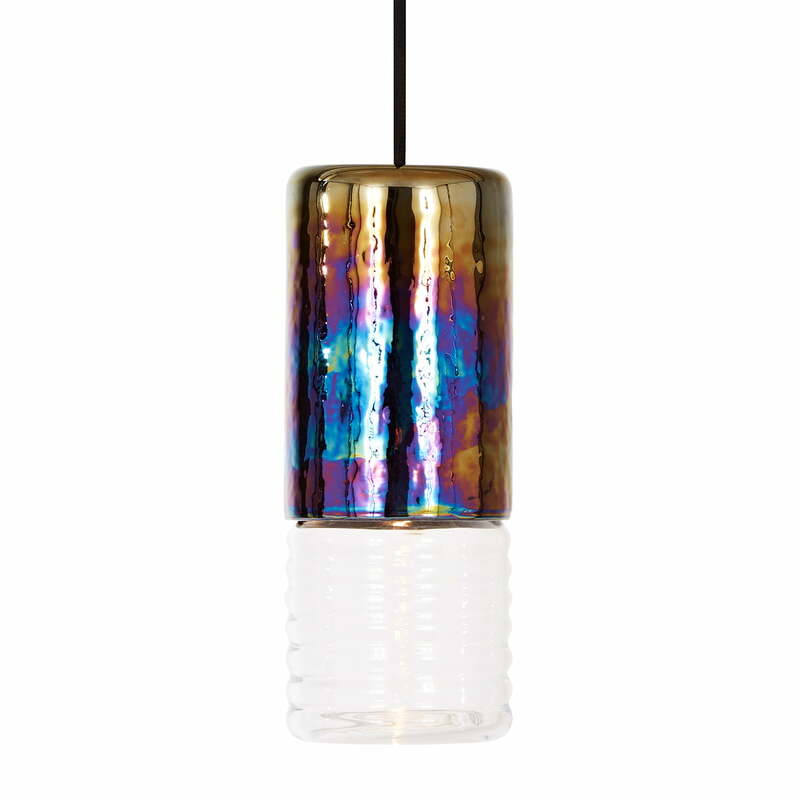 Individual image of the Flask Pendant Lamp, Oil Long by Tom Dixon. The Oil Long in the form of a cylinder is reminiscent of the flasks in a chemistry lab. Group view of the Flask Pendant Lamp in Oil Wide / Long / Ball by Tom Dixon. Coming with a 2 m long cable, the lights can also be installed as a group in different heights. Group view of the Flask Pendant Lamp in Oil Wide / Long / Ball by Tom Dixon. The various forms of the lamps complement each other perfectly, so that a unique ensemble of lamps can be created.